How to Boost your Self Confidence in the Workplace. 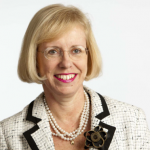 Our former Chairwoman Helen Mahy shares her mantra on self confidence, setting out the five things to remember when you need to your confidence in your abilities a boost. It is often said that women in business lack confidence. Indeed many studies show how good we are at underselling ourselves. I’m not sure about you but I have always had a bit of an issue with self-confidence. So how can women in business become more self confident? If you look up the dictionary definition it is all a bit scary. “A feeling of assurance or certainty, especially in oneself or one’s capabilities. Belief in one’s ability to succeed”. Frankly I’ve never really been sure I was going to succeed. And I have always thought confident people to be rather arrogant. Anyway, about 5 years ago I discovered a little book called “Buddhism Without Beliefs” by a former Buddhist monk called Stephen Batchelor. It’s all about the relevance of Buddhism to everyday living and in it there is a wonderful definition of self confidence which I have paraphrased below. When I’m feeling less than self confident I repeat the above to myself and it does help. Try it for yourself some day! We titled this piece ‘Confidence Boost from the Expert’ in honour of Helen being awarded the CBE in the 2015 Queen’s Birthday list. Well done Helen from all the team at Obelisk. Helen was formerly General Counsel of National Grid Group plc and Lattice Group plc, and was a Non-Executive Director at Obelisk until April 2015. She is a barrister, member of the Bar Council and an Associate of the Chartered Insurance Institute.